This is a small selection of the poems written by Douglas Elves, who will publish the complete collection in book format at a future date. For now please look over the sample poems here. In addition to the river poems, the book will include many other, mostly earlier, poems not on a river theme. 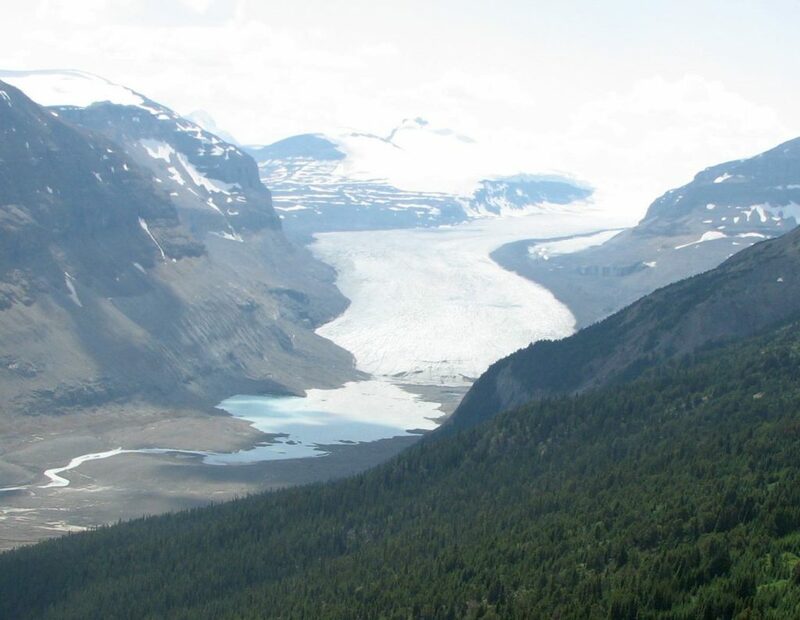 The source of the North Saskatchewan River, the Saskatchewan Glacier. Photo taken by Doug from Parker Ridge, Banff National Park.